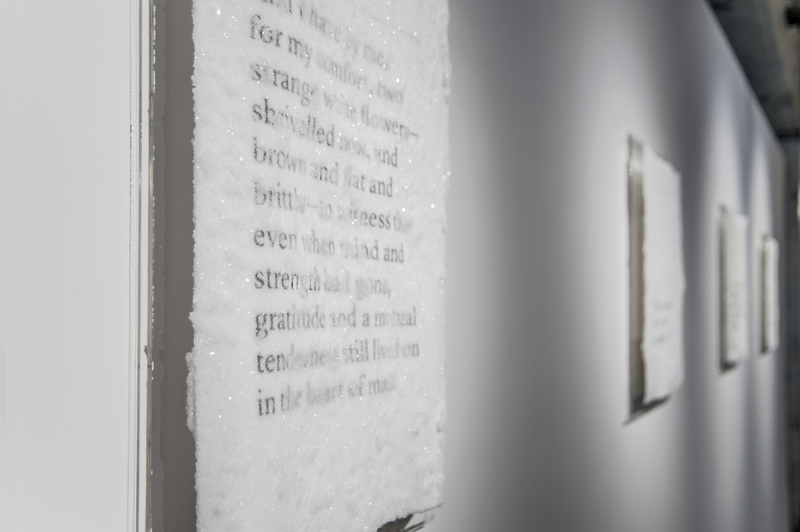 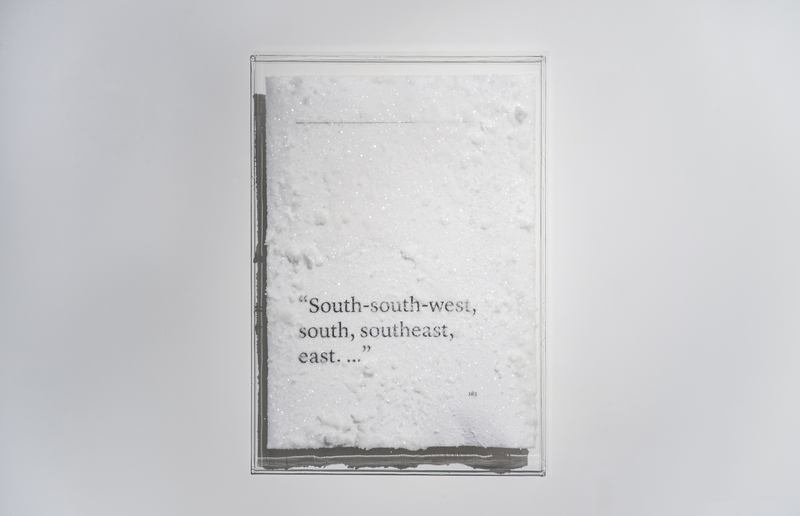 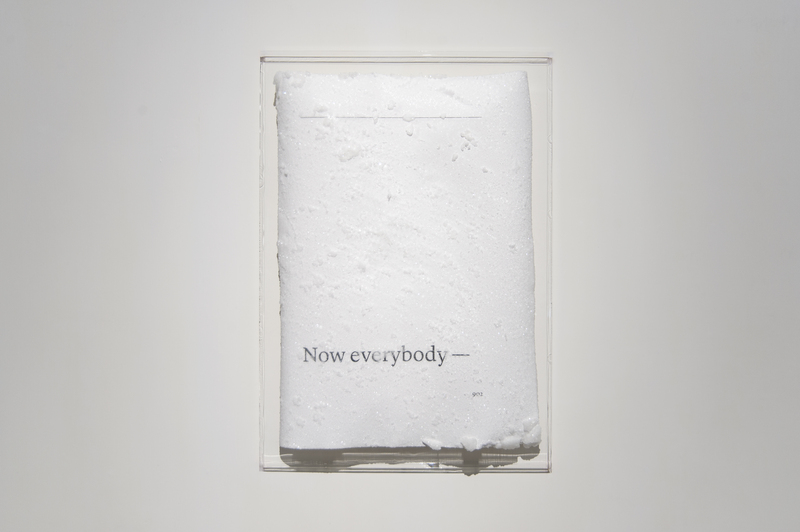 This series of crystallised book pages form an ice archived set of material that can be interpreted as fictitious found diaries. 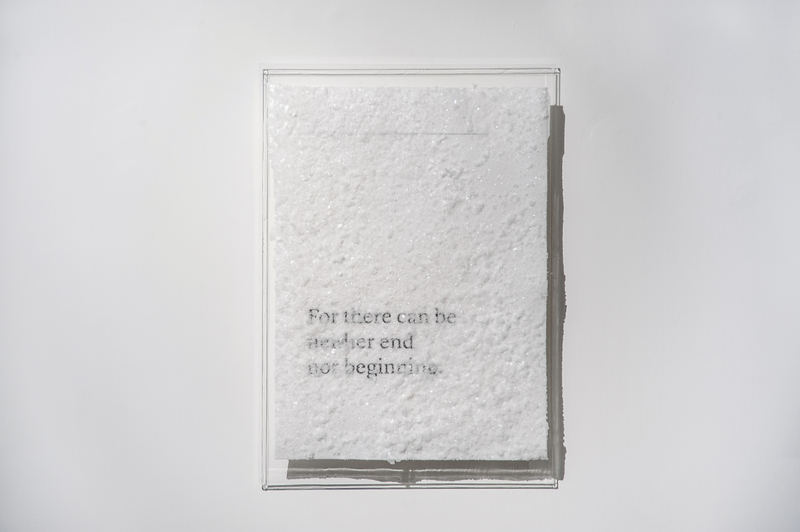 The quotes, taken from the last sentences or particular epitaph from science fiction novels from 19th and 20th centuries, frame our journey with particular psychological postures. 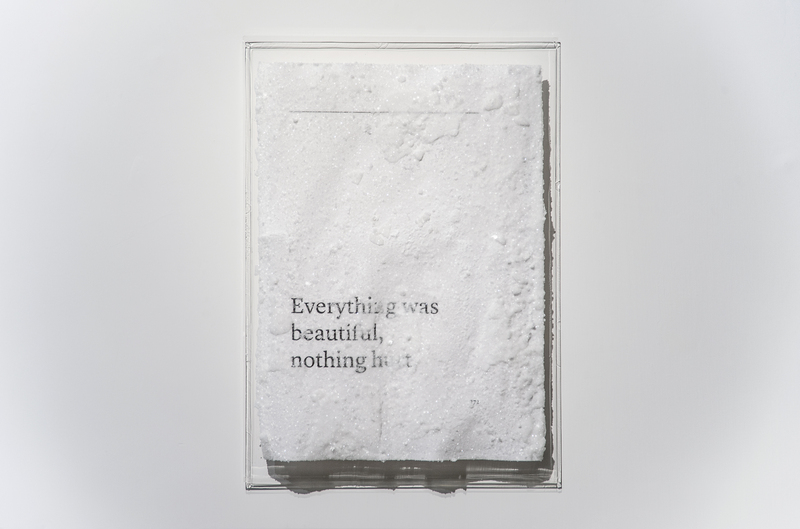 ““Everything was beautiful, and nothing hurt.” So goes the epitaph from Kurt Vonnegut’s novel, Slaughterhouse-Five. 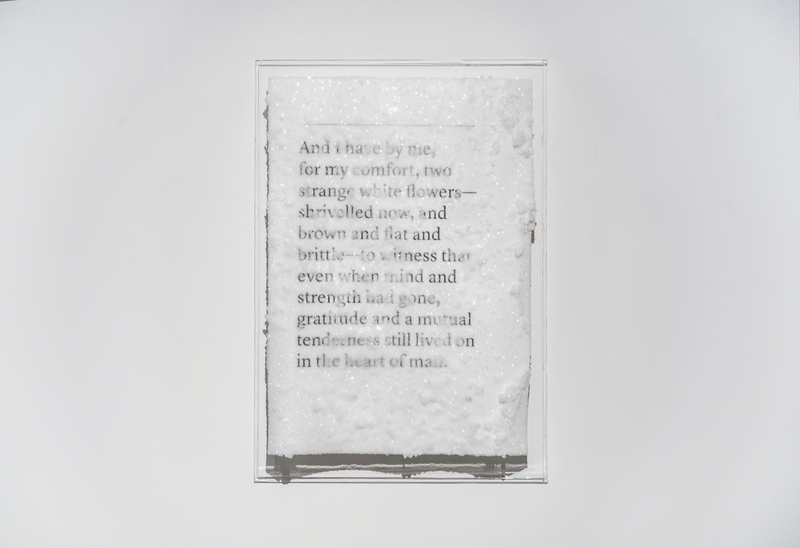 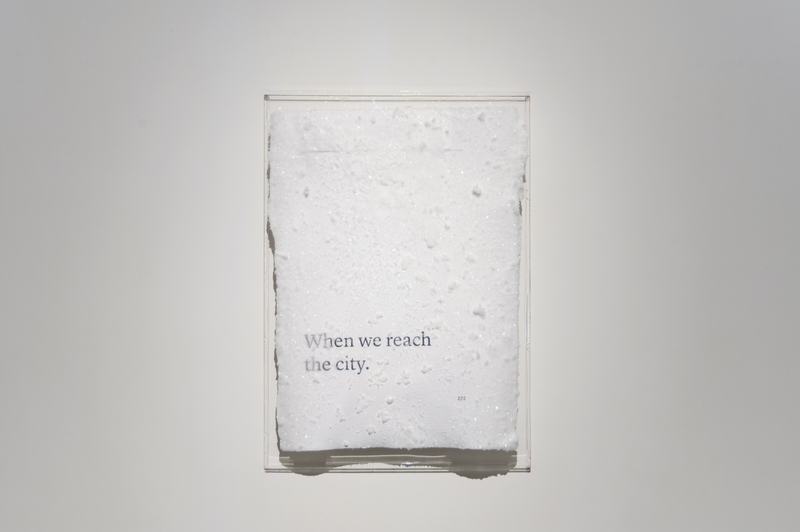 It is also one of the passages that Maridet has chosen for a series of crystallised book pages with last sentences culled from a handful of science fiction classics, including The Time Machine (H. G. Wells), Fahrenheit 451 (Ray Bradbury) and Solaris (Stanislaw Lem).